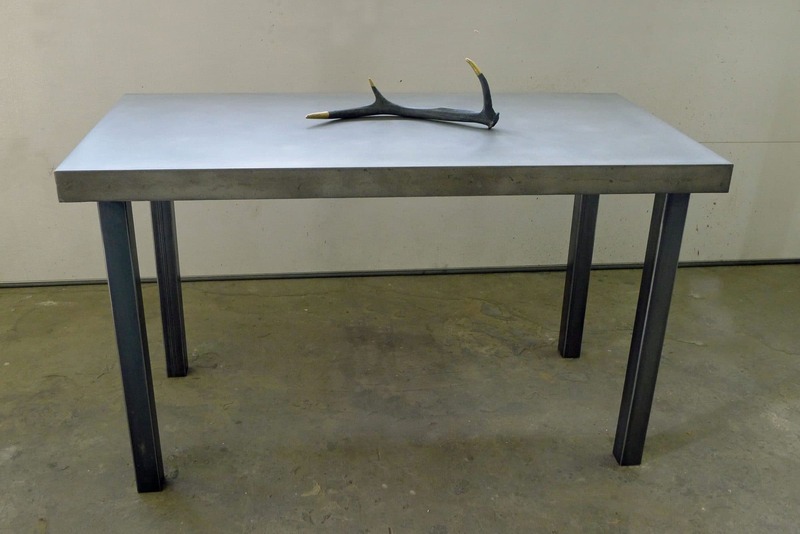 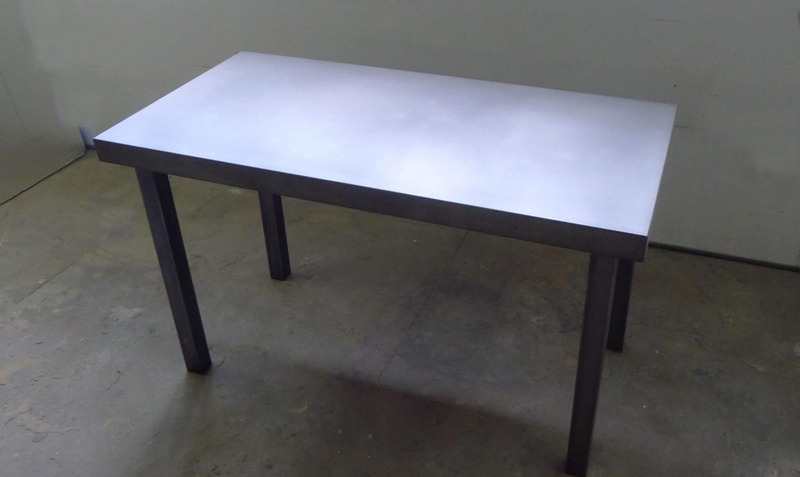 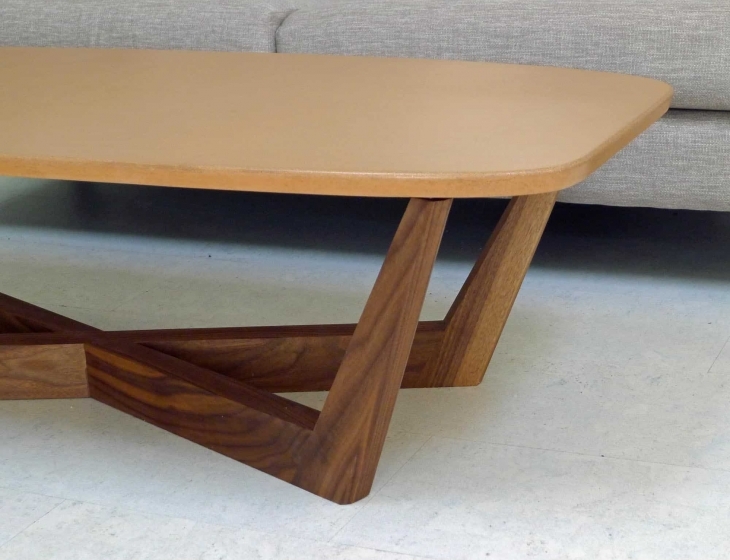 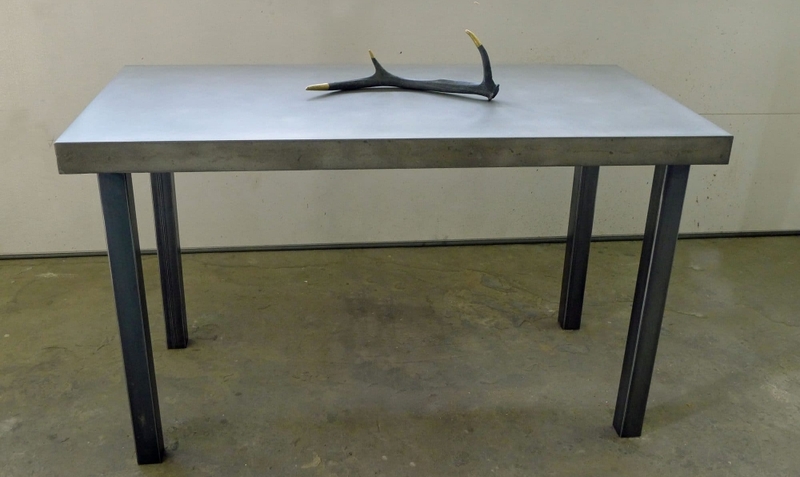 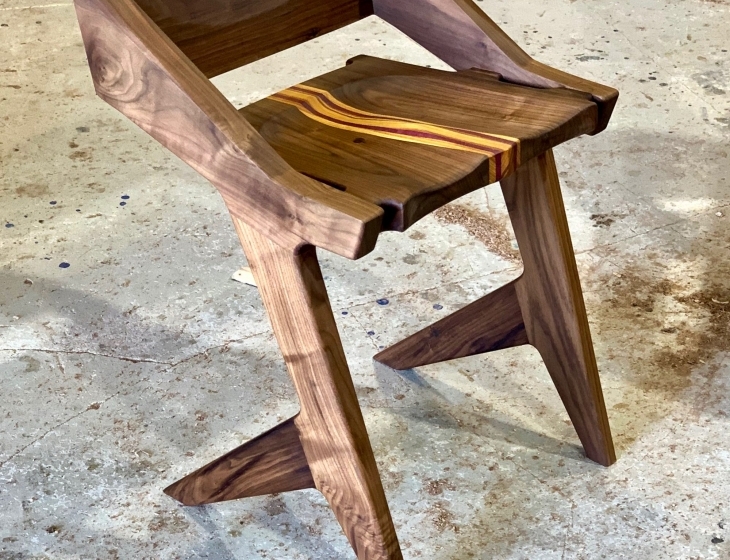 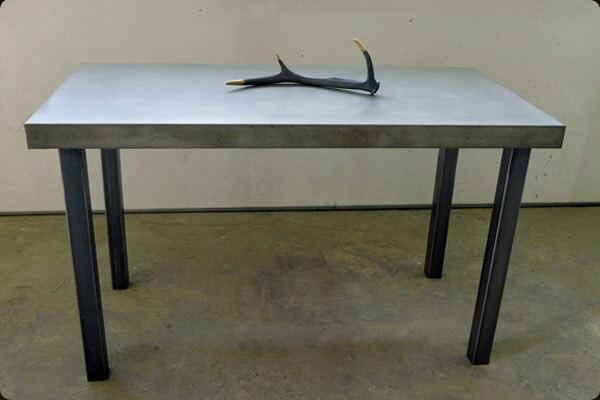 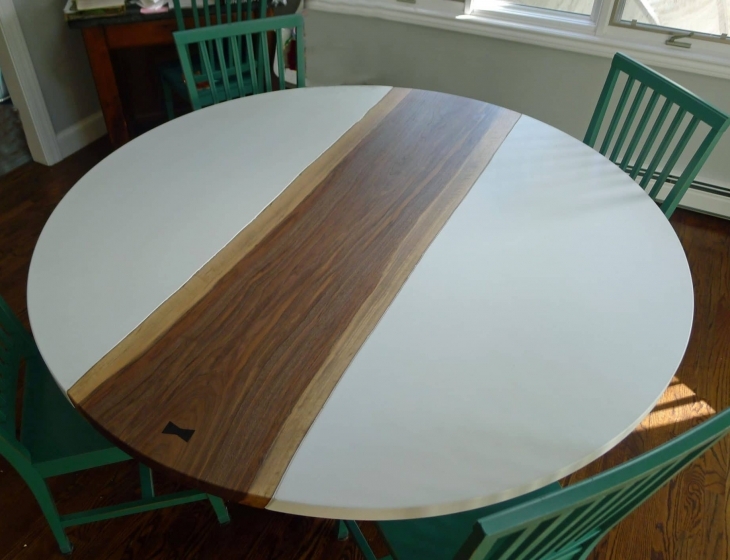 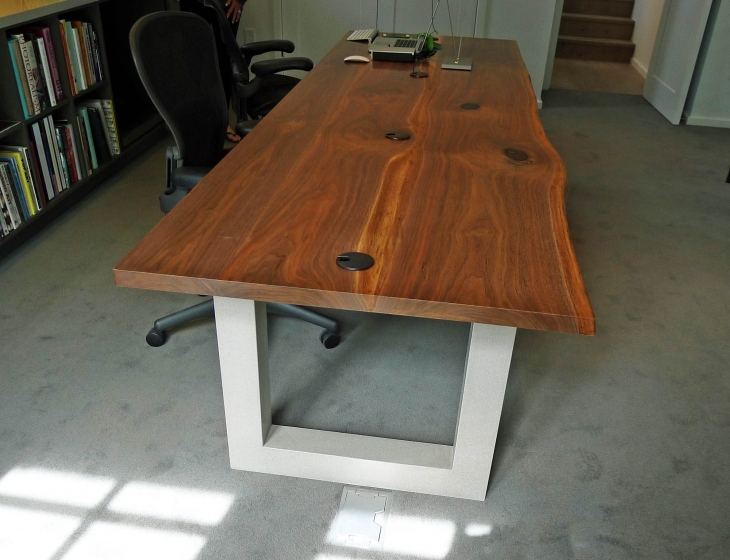 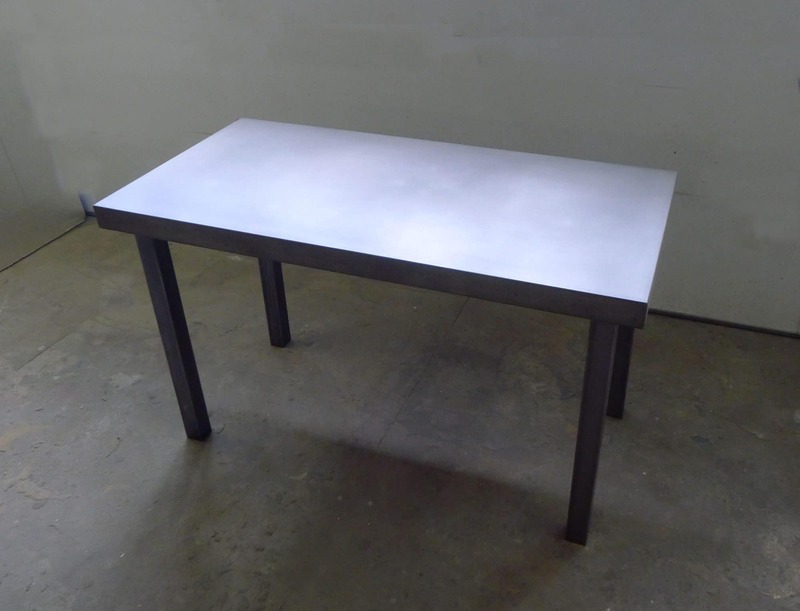 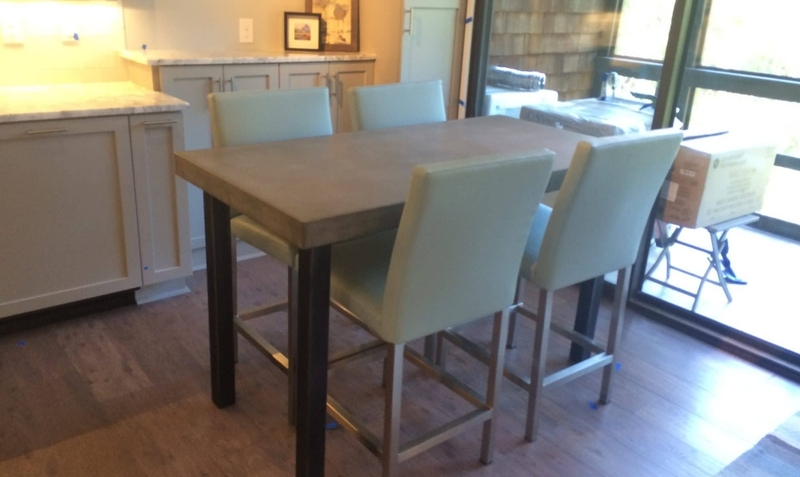 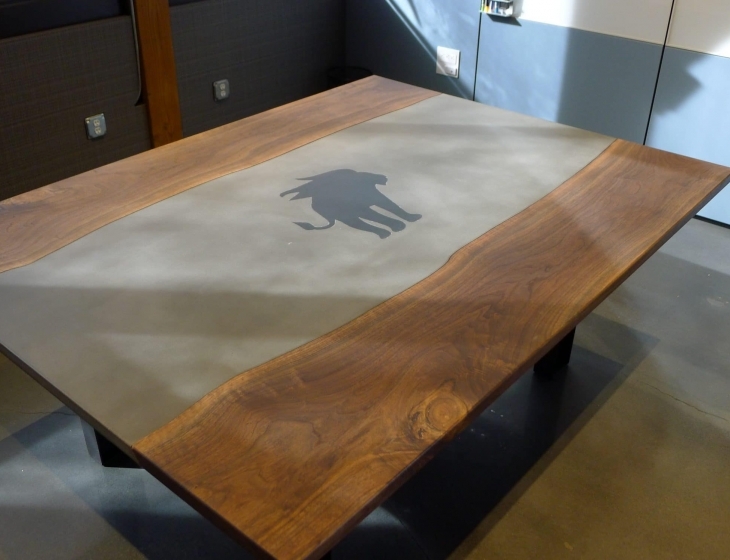 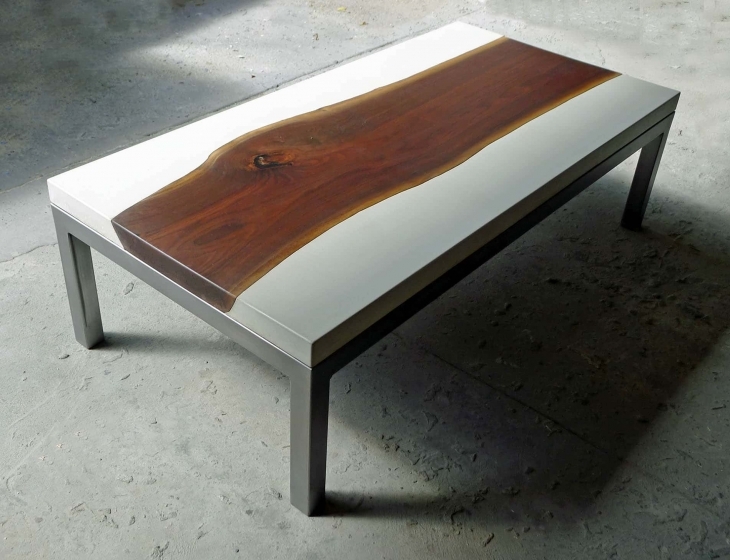 An out of state client contacted us to commission this custom dining table. 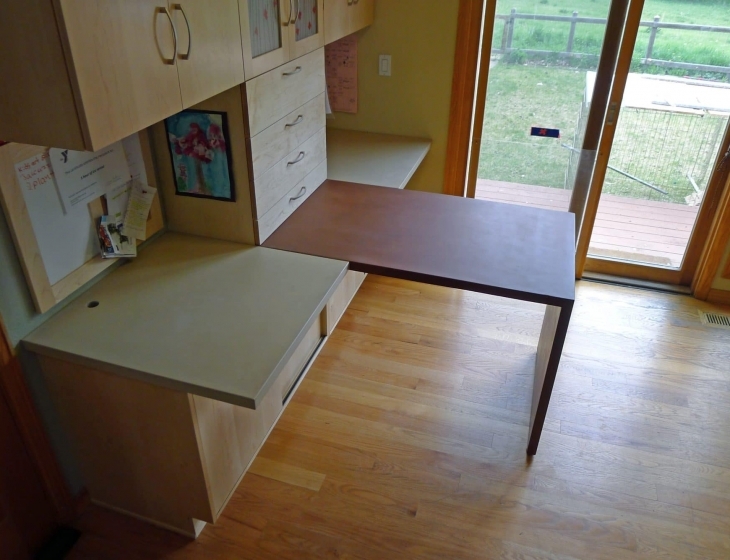 As it was for a small space in her vacation condo she had very specific needs. 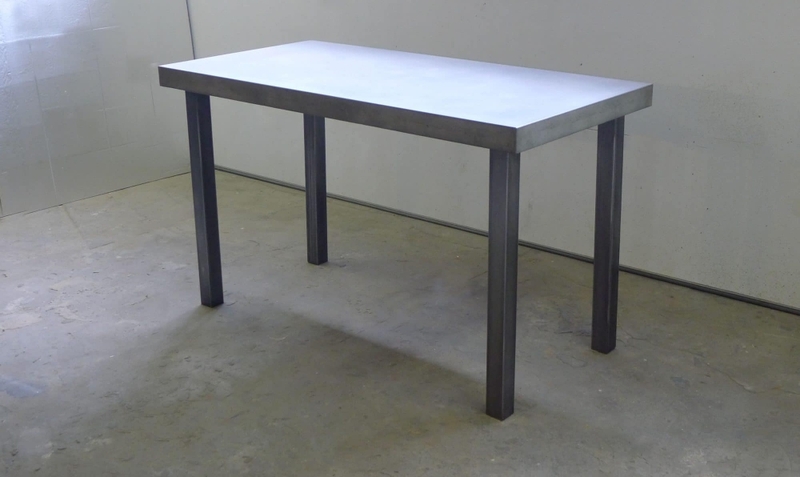 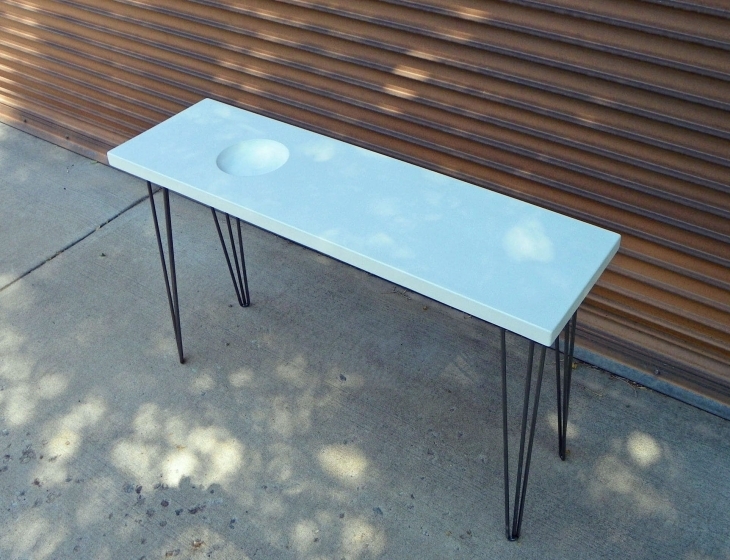 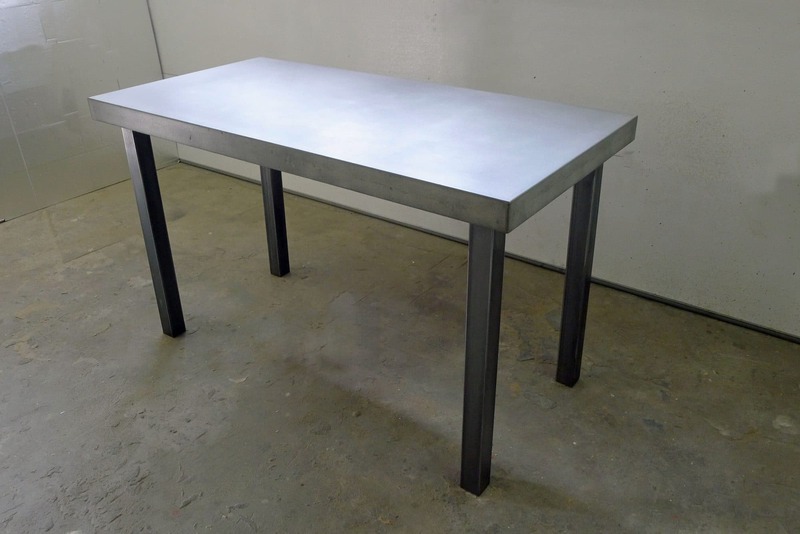 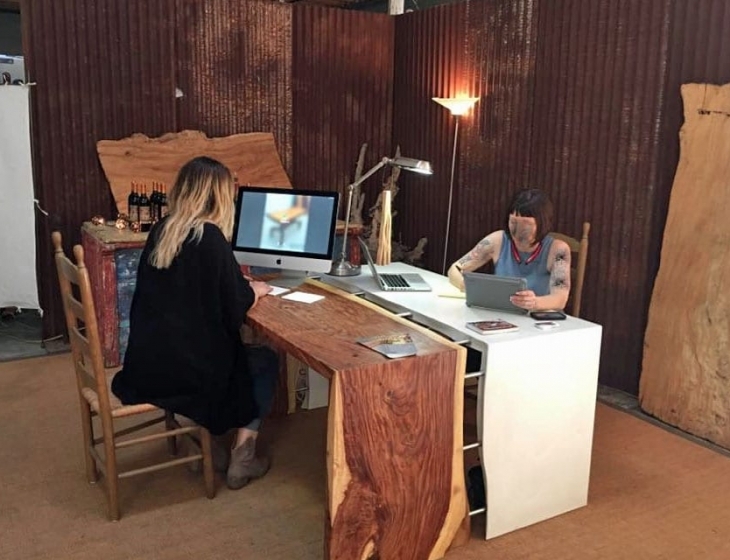 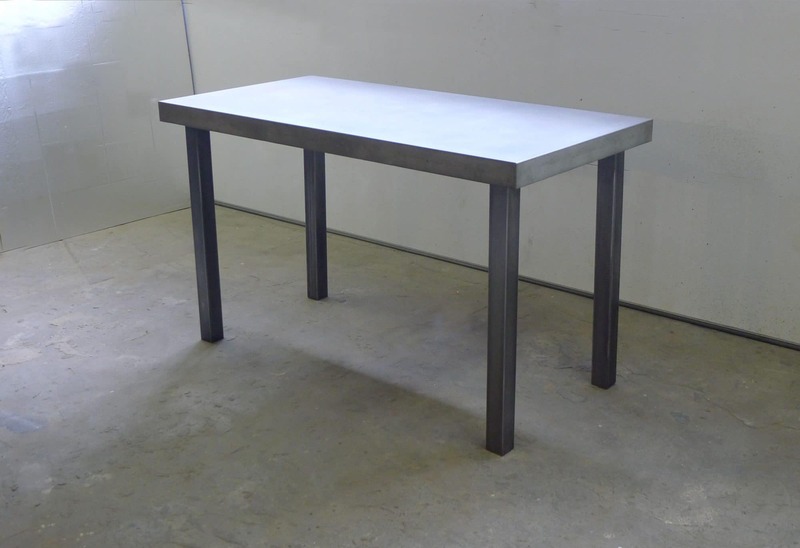 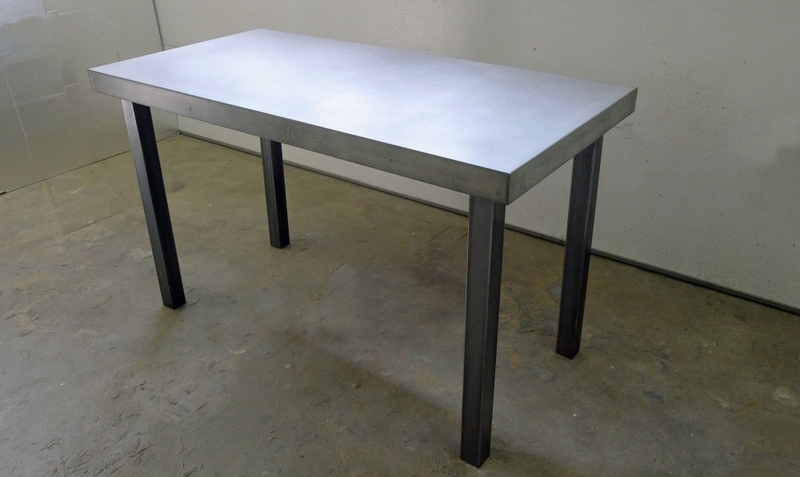 The final design was a taller than usual, counter height (36″) table with a relatively petite 60″ x 30″ footprint. 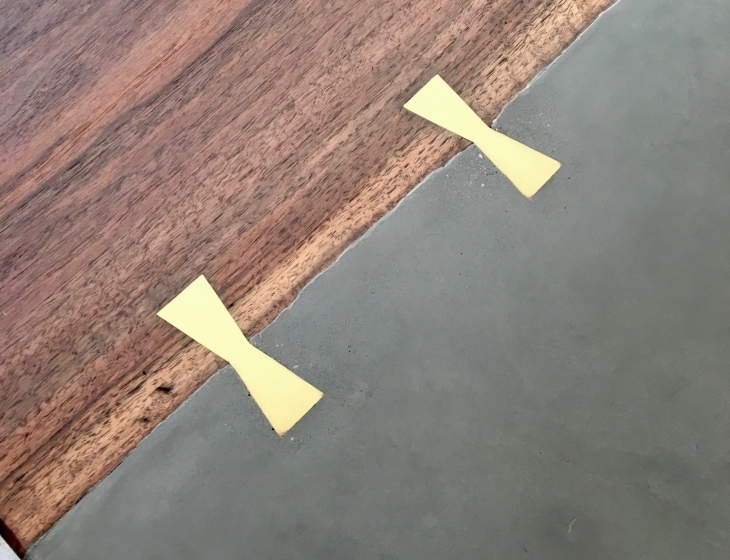 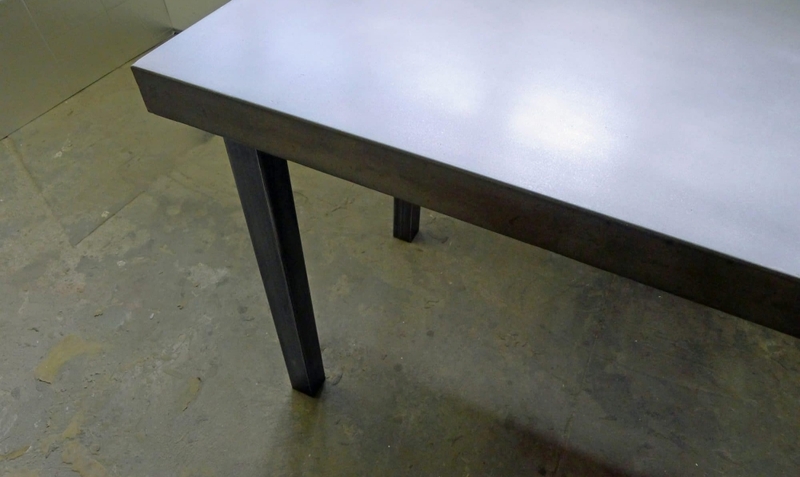 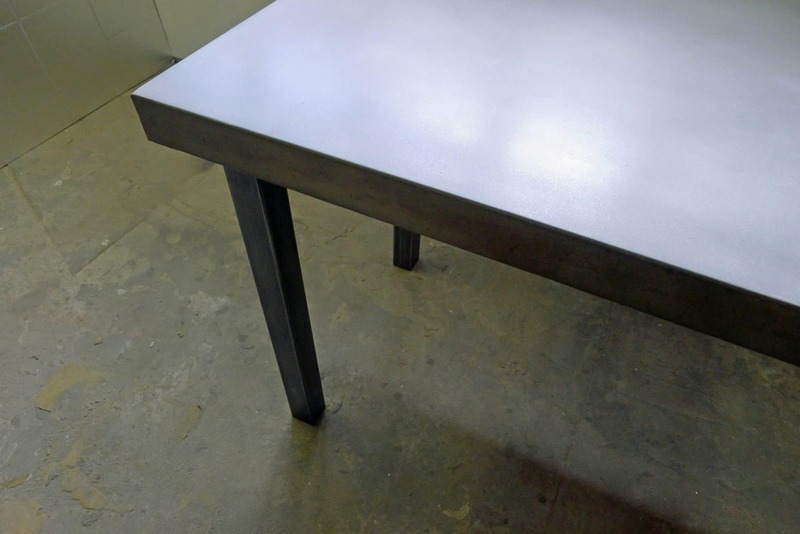 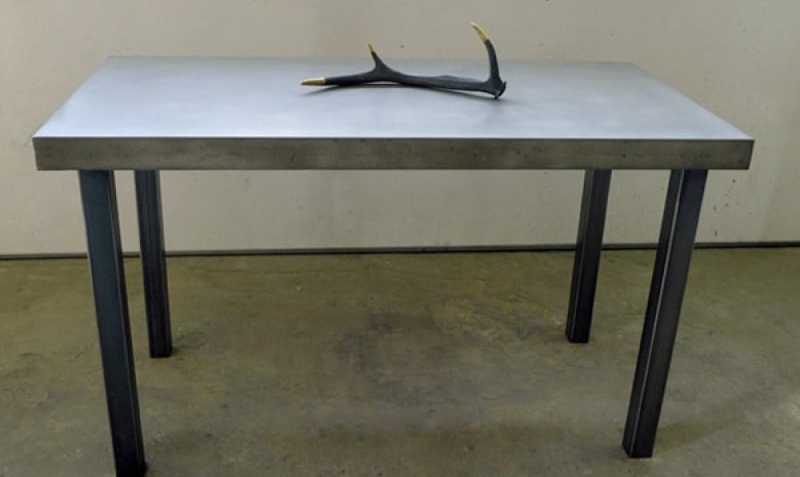 The steel legs were left raw and finished with a satin lacquer. 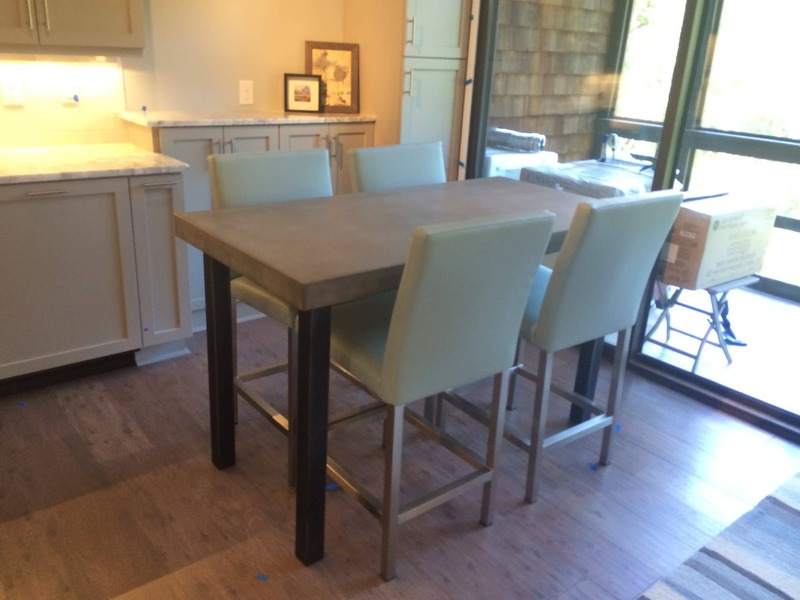 The happy customer was gracious to send along an installed image.